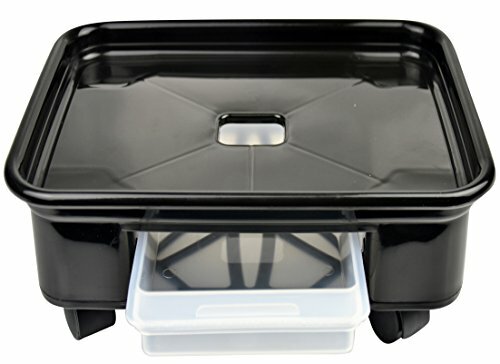 Dimensions:#4 Square Inner dimension L:10.6" , W:10.6" , Hight: 3" (Height Without Wheels)and Outer dimension: 12.4" L x 12.4" W x 3" H.
Plant Water Tray Attached for this Plant Caddy, Always Keep Your Floor Clean and Dry. If you have any questions about this product by FUNNYGO, contact us by completing and submitting the form below. If you are looking for a specif part number, please include it with your message.